Ever say something you shouldn’t have? Or, perhaps, you are about to say something in a message you know you shouldn’t say but simply have to! Use this smiley to convey your sense of self-reproach! Express yourself and say it well by saying nothing! 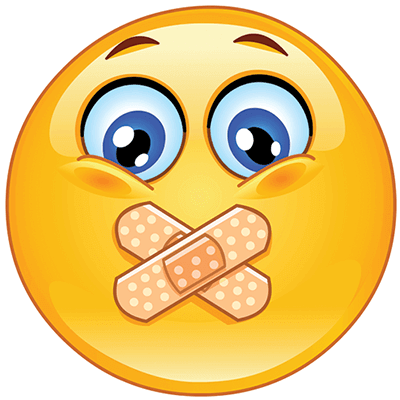 Your Facebook friends will delight in the bandaged mouth of this smiley which says so much about the need for keeping our mouths closed sometimes! Instead of writing TMI (too much information), you can post this cute smiley! 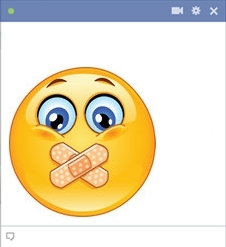 - See more smileys for Facebook.